New for 2017! Sled Island's annual raffle is now available online. Even if you're already planning on attending Sled Island 2017, consider purchasing an entry (or three)! Proceeds help keep us going all year long. The first huge moment of the Sled Island 2017 season is upon us. We are ecstatic to announce that visionary producer, rapper, DJ, label owner and filmmaker Flying Lotus will be joining us as guest curator of this year's festival! Each year, Sled Island’s guest curator puts their stamp on the festival through special programming choices and with their presence at the event. Flying Lotus’ curatorial selections, to be announced in spring 2017, will join over 250 additional bands, comedy acts, films and visual art projects chosen by the festival in more than 35 venues across Calgary from June 21 - 25, 2017. 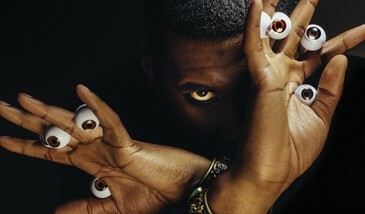 In addition, Flying Lotus will perform at The Palace Theatre (formerly Flames Central, 219 8th Ave. SW) on June 24, 2017. 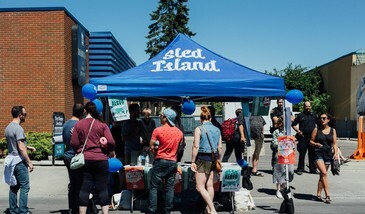 Sled Island passes grant access (subject to capacity) and are currently on sale at SledIsland.com, Sloth Records (736B 17th Ave. SW) and Lukes Drug Mart (112 4th St. NE). Single tickets will be available in spring 2017. To celebrate the news, we’re offering Sled Island 2017 Discovery Passes, Discovery Plus Passes and Sampler Packs at a special semi-early bird rate of 15% off until March 13, 2017!